Jewelers Quality Micro Pliers at an Affordable Price . 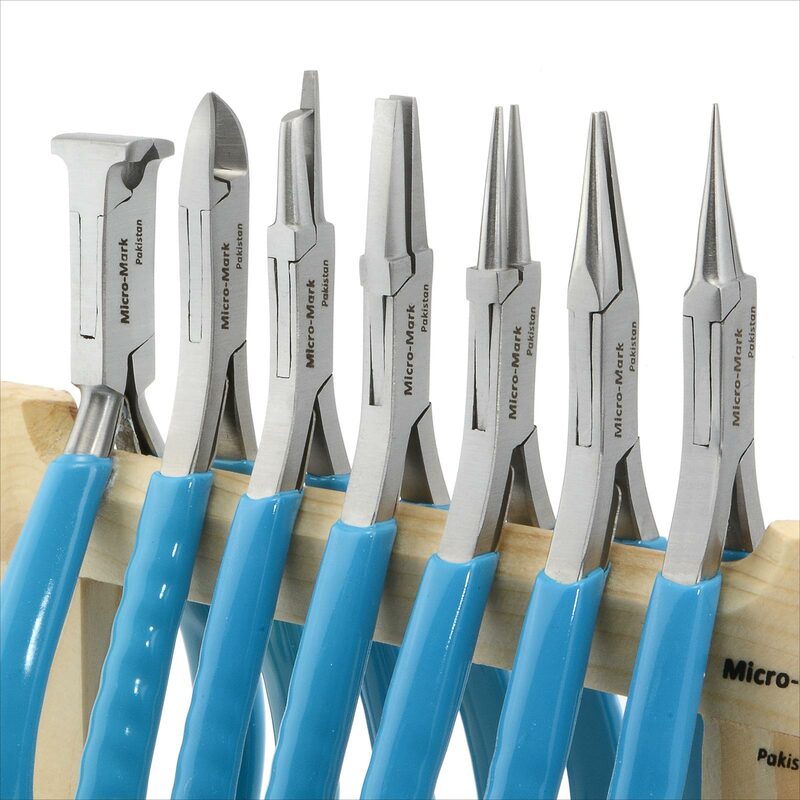 . . As low as $7.00 per Plier; Includes FREE Stand! You'll be impressed with the incredible value offered by these high quality micro pliers. Made for Micro-Mark in stainless steel, with finely-finished, precision-formed micro-size tips and no-slip rubber grips for superb jewelry, electronic, wire-forming, and model-building parts fabrication and assembly. Set includes the following 7 pliers (each approx. 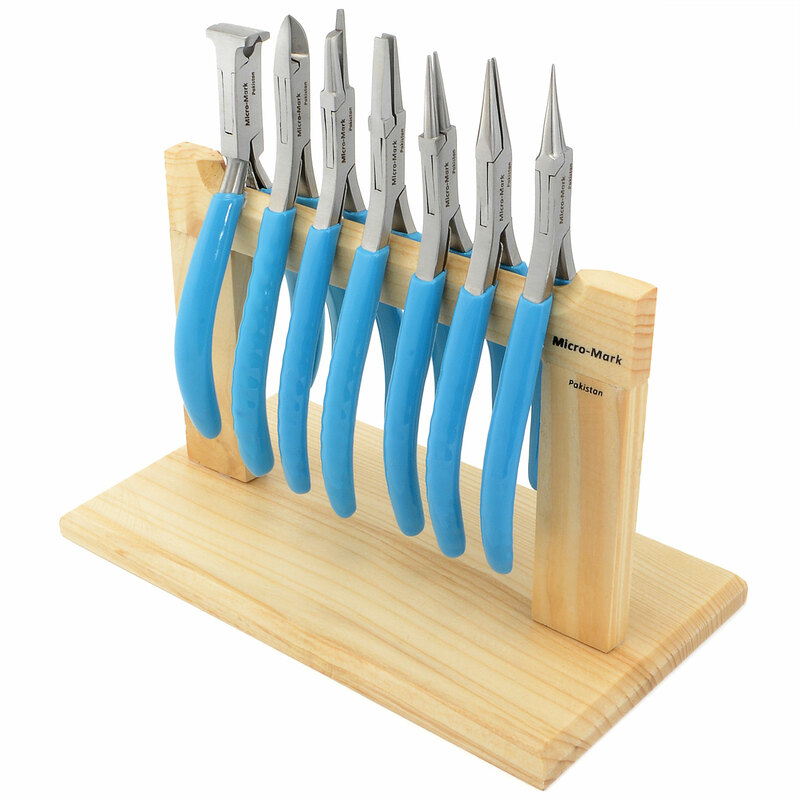 5 inches long): extra fine needle nose, fine needle nose, round looping tips, flat tips, forming-gripping tip, diagonal cutter*, and end nipper*, plus a nicely finished wooden stand to keep them handy and damage-free. *For use on soft wire only.